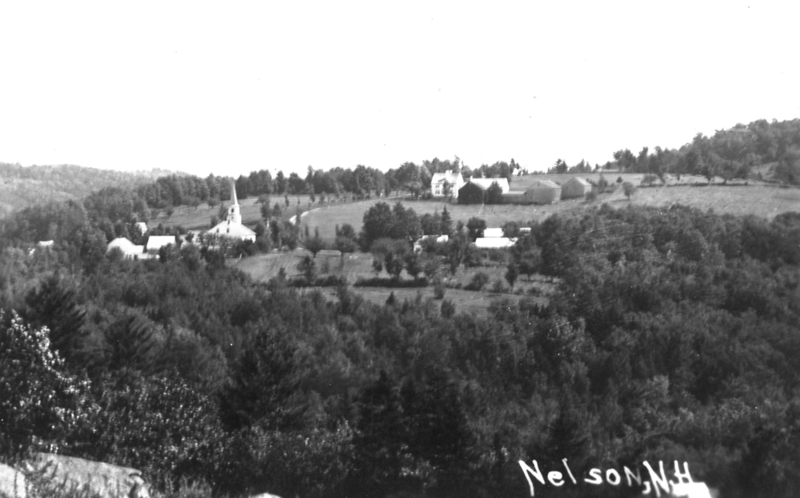 Cover photo: Nelson village, late 1890s, taken from Henry Melville’s field looking north. The remains of Homer Priest’s store and post office, which burned in 1894, are visible. The building on the left, which had various uses, was later torn down. 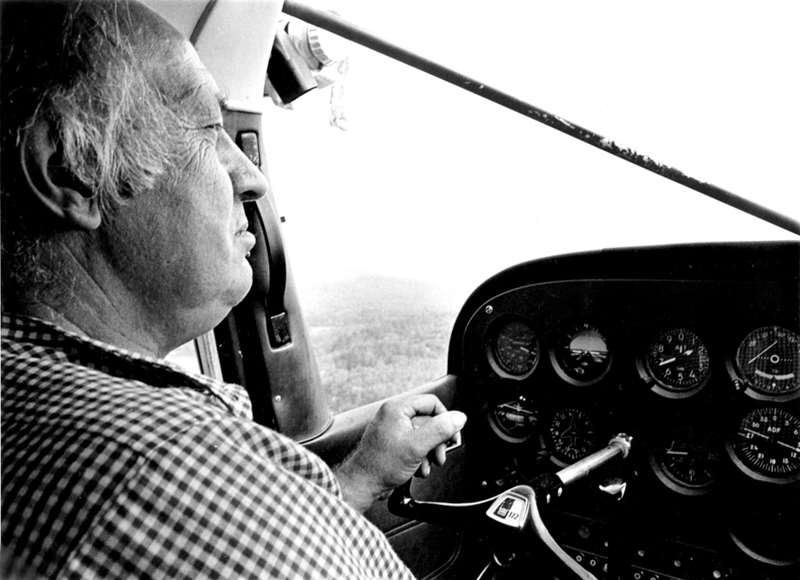 Inside Cover: Frank E. Upton, Jr., at the controls of his Cessna 172. For more than 30 years, Frank (1920-2006) kept an eye on Nelson’s gradually changing vistas from the vantage point of his floatplanes. He bought a Cessna 120 in 1964, and replaced that with a Cessna 172 in 1973. He kept his planes at his home, Flying Loon Farm, on Nubanusit Lake, from which he could take off and land. His first Cessna even sported skis in the wintertime, so Nubanusit Lake became a year-round landing strip for him and the many friends (including Harriet Wise, who took this photograph) who were fortunate enough to have enjoyed a scenic ride with him. 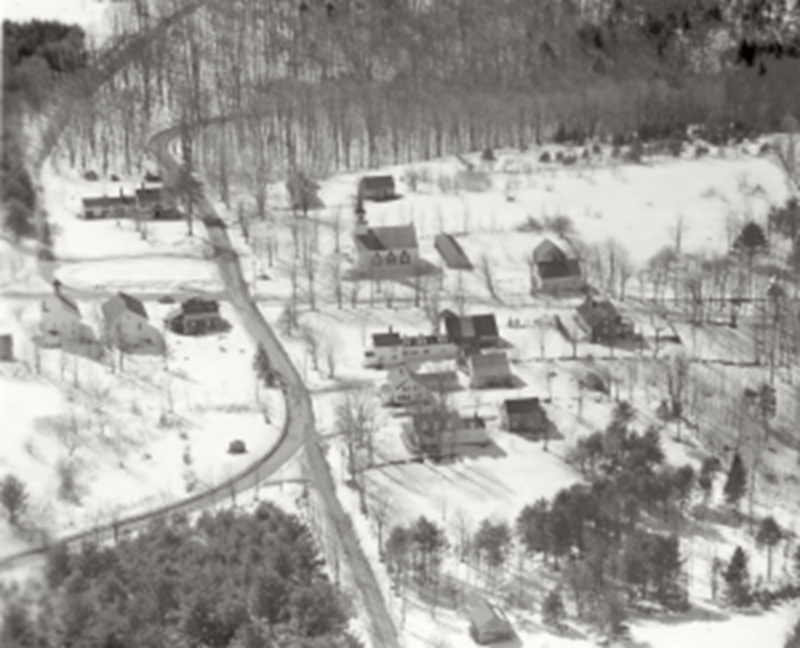 January: Nelson village, looking west, during a snowy winter, probably in the 1950s. 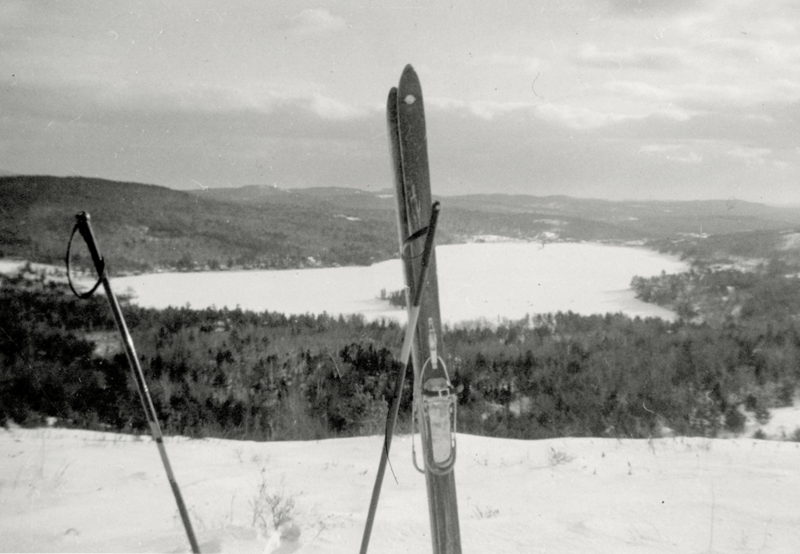 February: George Kingsbury climbed to the top of the Twin Hills (then cleared) in Stoddard in the late 1930s to photograph Granite Lake and Munsonville. Photo courtesy Bob Kingsbury. March: Mud season was even more delightful in the 1860s than it is today. 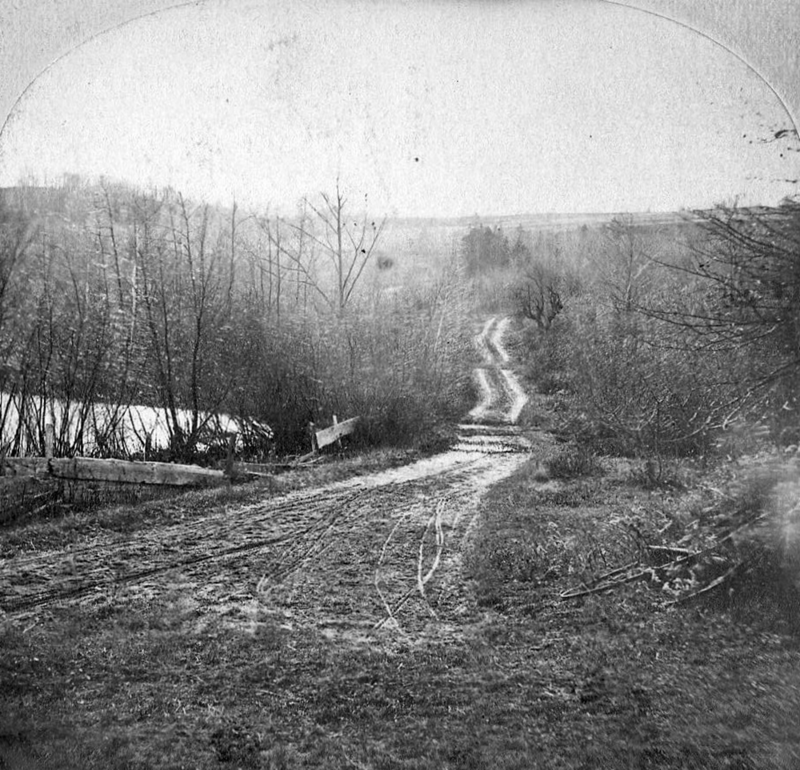 This view of Tolman Pond Road, heading west just beyond the Tolman farmhouse, is from a J. A. French stereoscopic slide. At low and wet spots in the road, logs were laid crosswise, corduroy-style, to provide a base. Note that the hills in the background are cleared. 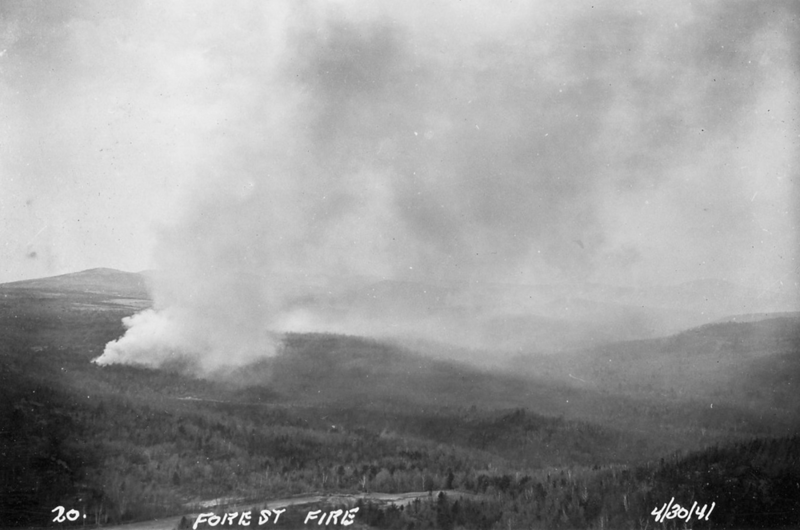 April: The Hurricane of 1938 roared through the Monadnock region, creating a mass of debris on the forest floor that fueled forest fires for years to come. Here, smoke rises from a fire in the area of Tenney Pond and Wildcat Ledges, heading toward Cobb Hill in Harrisville, on April 30, 1941. Nelson’s Great Meadow is in the foreground. 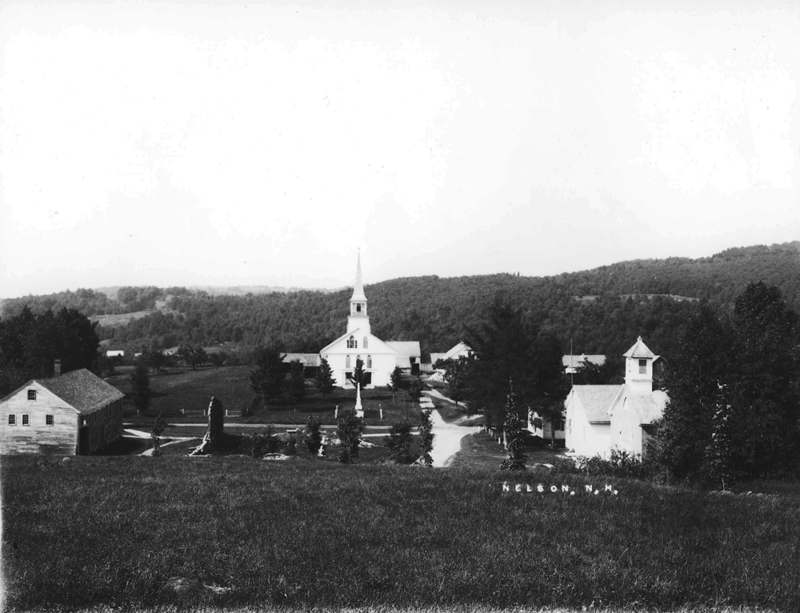 May: From a high spot north of Nelson village, a photographer recorded the Congregational Church and the Melville homestead, with woodlots slowly growing back in, about 1915. 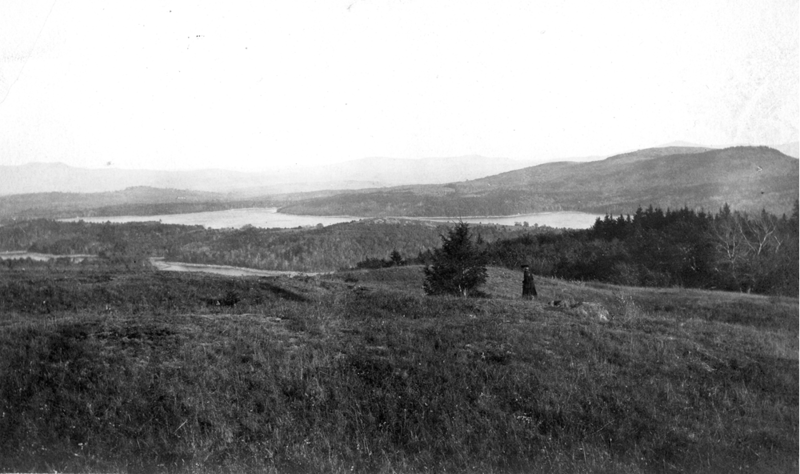 June: The magnificent view from the top of City Hill (Osgood Hill), looking southeast across Spoonwood and Nubanusit, was photographed in 1906. This photograph is from the collection of the late Renn Tolman. July (and cover): Nelson village, late 1890s, taken from Henry Melville’s field looking north. The remains of Homer Priest’s store and post office, which burned in 1894, are visible. The building on the left, which had various uses, was later torn down. 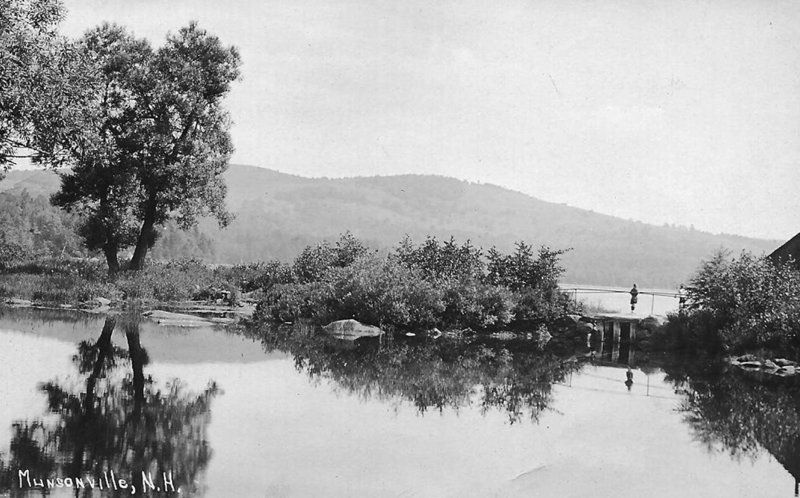 August: The millpond in Munsonville, c. 1920, looking toward Granite Lake. The bridge was a favorite fishing spot for local children. In the late 19th century, Munsonville was a bustling factory village known for its basket-seat porch rockers, thousands of which were made at the L. J. Colony factory. 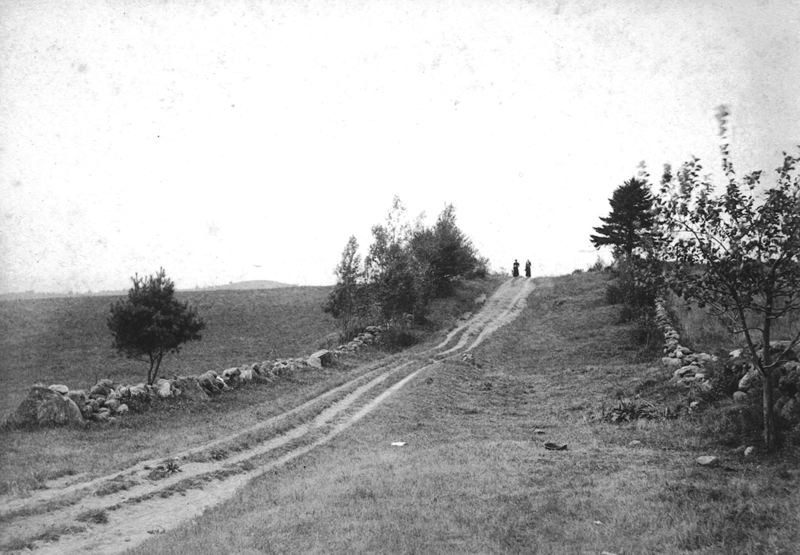 September: Walkers enjoyed the view from the high point on Lead Mine Road, looking west, in about 1910. We surmise that the three ruts in the road may have been created by wagons (the outside ruts) and the horses that pulled them (the middle rut). The view from this spot is still expansive and relatively open. 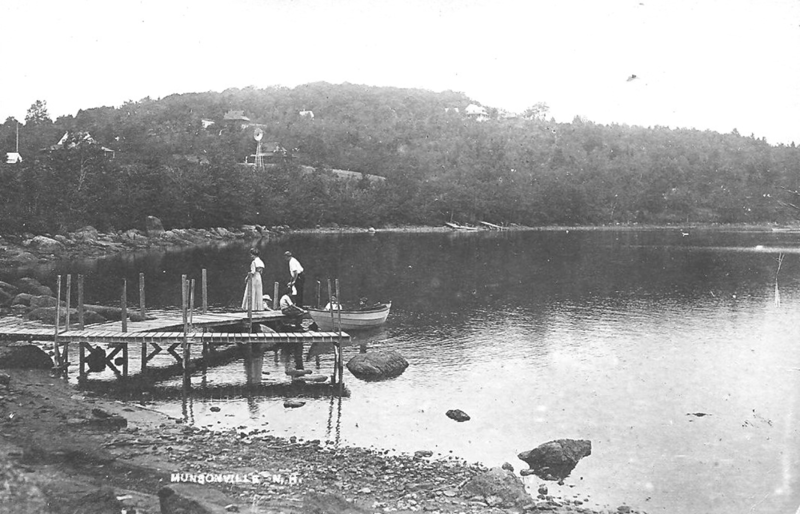 October: Boaters enjoyed the docks and dories at the west end of Granite Lake in Munsonville, 1905. The chair factory controlled the water level in the lake according to the needs of the water-powered mill. Dunroamin’ Lodge overlooked the lake from the ridge. The windmill on the hillside pumped water from the lake. 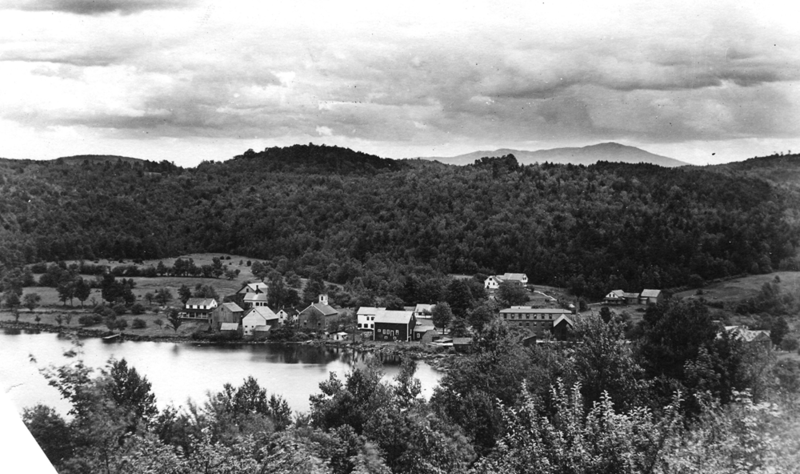 November: Munsonville, photographed from McIntire Road, c. 1900, showing the chair factory, Chapel-by-the-Lake, other familiar buildings, and Murdough Hill Road (right of center), with Mount Monadnock in the distance. 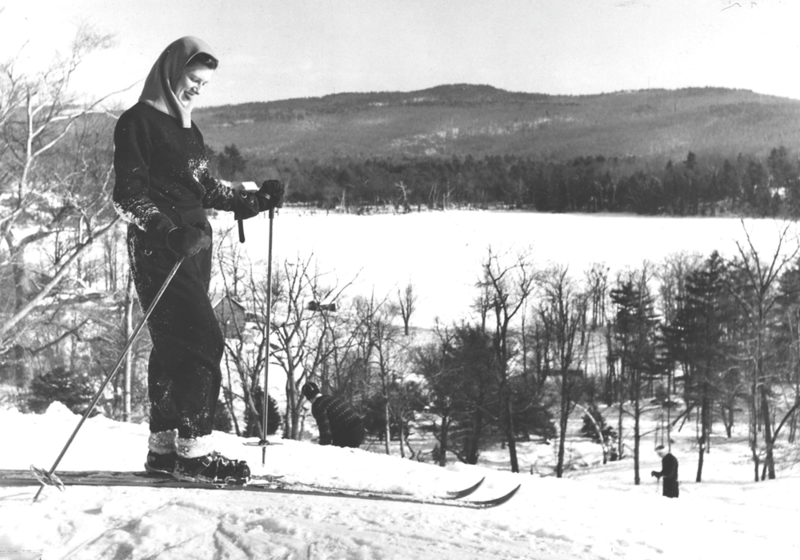 December: Hallie Robinson posed for photographer Bernice B. Perry atop the Tolman Pond ski hill. This 1930s image was used on the cover of a brochure promoting ski hills in the Monadnock region. See the New England Lost Ski Area Project (NELSAP.org) for more information. Nelson’s vistas have changed continuously over the period since the town’s settlement in 1767. The place was old-growth forest with no views when Breed Batchellor, Nathaniel Breed, Joseph Stanhope, James Bancroft, and others settled here. Fifty years later, the land was almost entirely cleared, creating views everywhere across land used for sheep pastures. 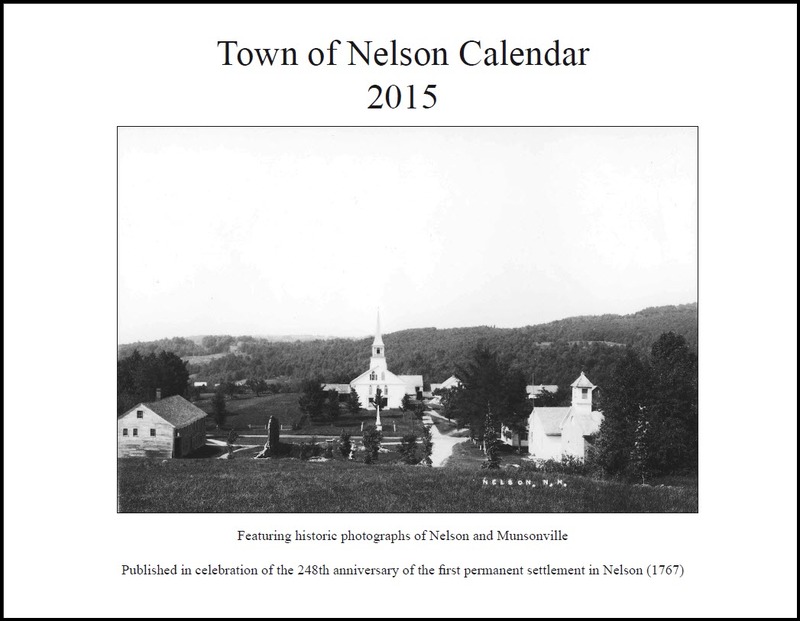 The old photographs in this calendar represent views of Nelson that would have been familiar to residents and visitors from 1880 to 1964. By the late nineteenth century, the landscape had almost entirely returned to forest, with the remnants of our hill farm fields visible here and there. The photograph on this page illustrates a vista that was sought regularly by summer visitors to Nelson in the early twentieth century. The urge to get up high to see the view from the top created paths like the East Side Trail up City Hill. That trail is lost now, but the view from the top is accessible today, thanks to the work of the Nelson Trail Group. This group of some twenty dedicated volunteers has built miles of trails and is in the process of mapping and documenting many miles of old roads for the enjoyment of the people of Nelson. Thanks to their work, the new Kulish Ledges Trail provides access to a spectacular sawmill site on Bailey Brook and beautiful views of Temple and Crotched Mountains over Spoonwood and Nubanusit from the east side of City (Osgood) Hill. Another trail features substantial stonework at the old saw and gristmill site on the brook that drains Granite Lake, and an associated wetlands walk. Nelson’s original road to Dublin, with its four cellar holes dating from the 1770s, is detailed in a beautiful trail guide. Trail guides are available at the Olivia Rodham Memorial Library and at the trailheads. Pick a sunny morning and set out on one of the trails. Approaching the landscape on foot is one way to reconnect with the families that first cut the trees, built the roads, laid the stone walls, and built the houses whose cellar holes you will come across as you walk. And the views are just as beautiful as ever. 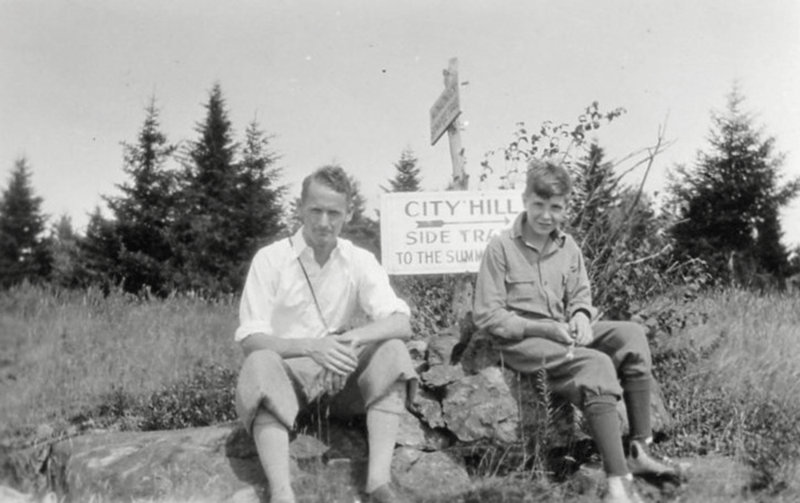 Sidney Partridge, at left, who would serve the town of Nelson as tax collector par excellence for twenty years (from 1962 to 1982), hiked up City Hill (Osgood Hill) with a friend, possibly Frank Pearce, in about 1930. The main and side trails to the summit were clearly marked. To see the view from the top of City Hill, check out the 1906 vista on the June calendar page. The newly marked Kulish Ledges trail can take you there today.